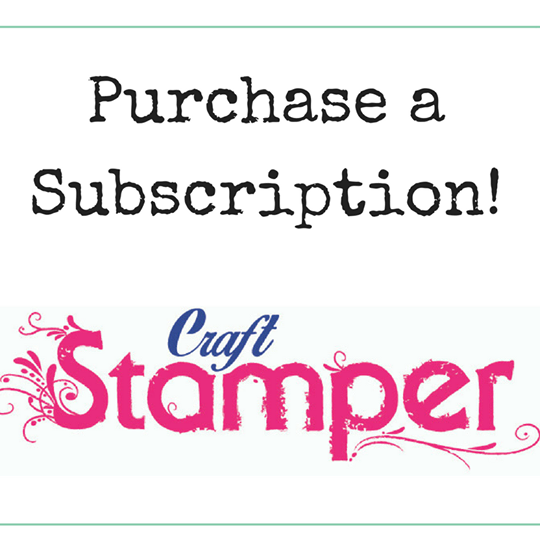 You may not know this, but Craft Stamper is 10 years old this June! With this in mind I think it would be nice to look back over the last ten years, so I am blogging today to ask for your help. I'd love to know what is your absolute favourite CS project from the last 10 years? Is there something that sticks out in your mind? Is it a project that inspired you to try something new? 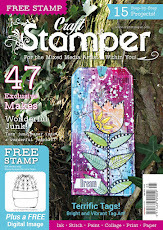 Is it the reason you bought your very first Craft Stamper? Whether you have been buying CS from day one or if you are new to us, we'd love to know what your personal highlights are and why. A few words about why have you chosen this project. Your name and location (e.g. Katy Fox, Worcestershire) so we can credit you in the article. This is such a good excuse to have some fun looking at your back issues. I am intrigued to see what we be picked out. I have some favourites in mind but choosing just one is hard! Today I'd like to share with you a delightful ATC project sent to me by one of our very talented readers - Annette Goatley. Annette's make was inspired by Kate Crane's ' Artist Trading Card Trio ' project and she has made use of her February free stamp already as you can see! Thank your for sharing Annette; gorgeous work. Better late than never - Sharpie draw winners! Thank you for the chance to win. I have linked your offer to my blog Here. Happy Christmas everyone at Craft Stamper. Would love to win these I have not got any sharpie's. Apologies for the delay in drawing this - I've unfortunately been off sick since the New Year so I hope you'll forgive me. Congrats to all the winners! Please email cs@traplet.com with your details (including your sign in name so I can match winners to emails) to claim your fab Sharpie prize. Please note Sharpie are sending the prizes out to me this week, so allow a couple of weeks for them to get to you. Hello from a very white and very beautiful Malvern. I just thought I would pop on quickly to let all those of you who took part in the Romance atc swap know that your swaps were posted yesterday!